Today we reach another major milestone on the road to Windows Server “Longhorn” with the availability of Beta 3. In addition to being feature-complete, Beta 3 is also our first public release, meaning that millions of IT professionals and developers worldwide can now begin evaluating the product simply by downloading it from our web site. Beta 3 is released in English, German and Japanese, with five separate editions available to download today. Of course, with so many people eager to get their hands on the product, we’ve had to come up with some interesting ways to distribute Beta 3. Downloads are only one option, so in the coming weeks, we also will offer the ability to order a Beta 3 Evaluation Kit DVD for those of you who can resist the overpowering urge to download right away (hey – the x86 editions are only 1.78GB – what are you waiting for?) and for those of you who just like receiving shiny round things in the mail. You’ll also see Beta 3 DVDs given away at upcoming events around the world, and we’re even working with some of your favorite technology publications to have Beta 3 included with them too. We also are making sure that once you get your copy of Beta 3, you’ll know what to do with it. 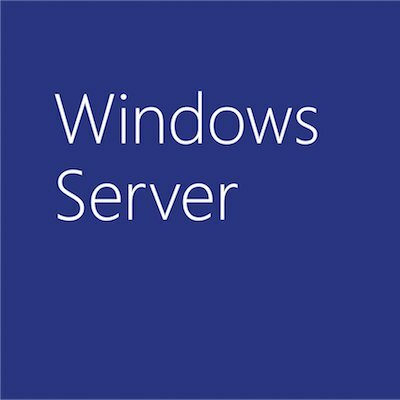 We’ve launched a new Windows Server “Longhorn” Technical Library on the Windows Server Tech Center, we have a detailed Reviewers’ Guide available to download and read, and perhaps coolest of all, we’ve teamed up with the folks in our Microsoft Learning group to develop free (that’s right – FREE) self-paced e-learning clinics. These interactive, multimedia-based clinics provide eight hours of training on topics like server management, centralized application access, branch office management, and security and policy enforcement. They keep track of which sections you’ve completed, so you can start and stop them whenever you like, and you can even download them for offline use to keep you company on transatlantic flights. Speaking of IIS7, another thing we’re announcing today is the general availability of the IIS7 “Go Live” license – this will allow anyone to take advantage of the improved security, reliability and manageability of IIS7 in a live, production environment. This license only covers web workloads, but if you think we should offer a “Go Live” license for other server roles, leave a comment below to let us know. Another way that you can provide feedback on the product is through a new thing we’re doing, called Customer Scenario Voting. It’s a web-based system that establishes a direct connection between the product team and our customers by providing a list of featured end-user scenarios and then allowing them to “vote” on their experience. Each vote reflects their satisfaction with the scenario, its importance to them and additional comments to describe what most influenced their decision.